welcome all to the sign-up and OOC thread, anyway, let me start the thread proper before i begin rambling..
the year was 2112 A.D, humanity's technological advancement had hit an all-time high, and scientific explorations have traversed the world over, revealing historic secrets almost everyday; however on march 8th 2112; a discovery that would change the world was made deep under the island of Manhattan, in the region known as the Mohegan void trench, when deep sea oil drillers drilled through a loose layer of bedrock and exhumed a mass of glowing purple stones, and upon digging deeper found a layer of a pitch black sheet-like metal; scientists later determine that these two materials have amazing qualities, the purple stones, named voidstone ore due to it's area of discovery seemed to act as a self contained thermo-nuclear reactor, releasing insane amounts of energy when exposed to magnetic fields; while the metal, aptly dubbed black metal by metallurgists was a light weight, high density, high durability material that could easily be shaped to fit any necessary project. causing one in every fifteen people to become darkloids, twisted creatures of superhuman attributes that reproduce through a "corruption" plague. Full Name: The character's full, complete, and legal name. Name at birth: Same thing, but only if it was different when the character was born, i.e. if s/he changed name because of marriage, adoption, religious conversion, or other reason. Aliases/Nicknames (if any): Any aliases or nicknames that the character is addressed by, referred to as, or uses for whatever purpose on any regular basis. Title(s): Any title, such as "Dr.", or "Master", or "Special Agent", or "Venerable" may here be reference and noted. Preferred name: What name the character prefers to be addressed by. For example, foreign exchange student Yeonggwang goes by 'Paul', or Nicholas goes by 'Nicky'. It may also be that someone is referred to primarily by their surname, or by their complete, unabbreviated forename. Age/Date of Birth: Both the character's age at the start of the story, or 'canon', as well as the complete date of birth with the appropriate calendar. In a realistic story, this would be using the Gregorian calendar (unless your character's religion or culture dictate use of the lunar calendar). In a non-realistic story, the calendar will depend on your universe. Race/Ethnicity: What is the character's race? This may be 'White/Caucasian' or 'Black/African-American' for example. It may also include nationality, or ethnic group. Hispanic or Latino status should be denoted here. Appearance: Describe the character's appearance without reiterating anything already said. Anything that has not been said in this category that should be noted will be described and explained here. a picture is fine, although a short description is requested A note - this is physical appearance only. Equipment and such will follow later. Weapons and equipment (if any): Does the character have any weapons or other sorts of equipment? What are they, how did he or she obtain them, and why does he or she keep them? Has the character ever lost or had confiscated any weapons or equipment? What were they, and why did this happen? Special Abilities/Skills: Does the character have any other special abilities or skills, whether highly desirable or not? Talents, learned skills, and such may all be listed here. 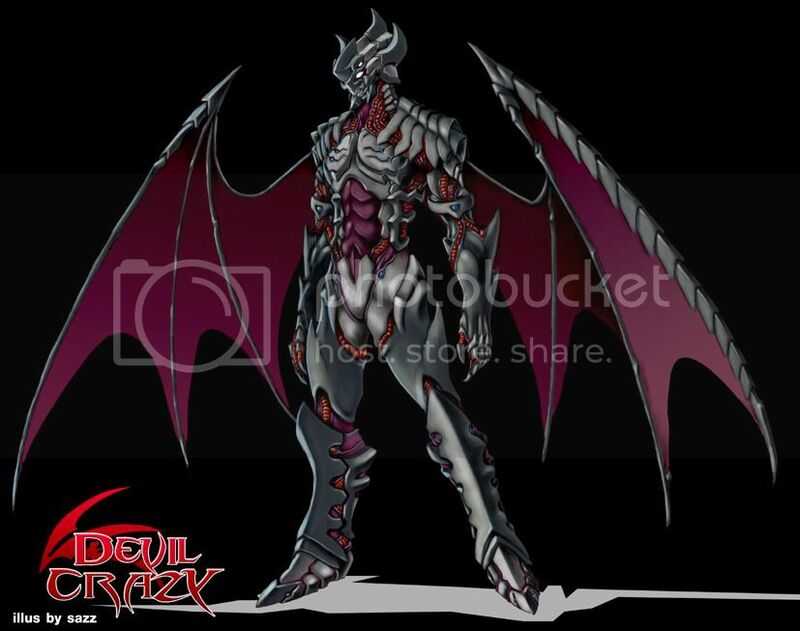 Darkloid name(if any): Any aliases or nicknames that the character is addressed by, referred to as, or uses for whatever purpose on any regular basis. Age/Date of Birth: Both the character's age at the start of the story, or 'canon', as well as the complete date of birth with the appropriate calendar. on the bottom half of his body he wears black slacks with lines similar to his jacket . a pair of armored boots with blades on the toe completes the outfit. bio: Leon was one of the original researchers of voidstone ore, and was thus at ground zero of the first voidstone mutagen leak infected with so much of the original mutagen that it became part of his very being; in the resulting chaos caused by the leak Leon rampaged through the area , infecting many of the researchers and forming the basis of what would become the hive mind of the darkloids, as time passed and the ranks of the darkloids grew Leon and the other five original darkloids slowly regained their memories and realized what they had become, feeling remorse for their deeds of infecting so many beings and consequently destroying many of the minds of those infected Leon tried to convince his fellow Archlords to sacrifice themselves and free the darkloids with remaining free will from the collective's mental link. I thought he resembled Leon from Kingdom Hearts then I looked up at his full name and saw that his name is Leon lol. Oh the irony. Name at Birth: Renn Allen Gurski, He was adopted by his Stepfather and he took his last name in reverence for him since he was the only father he ever knew. 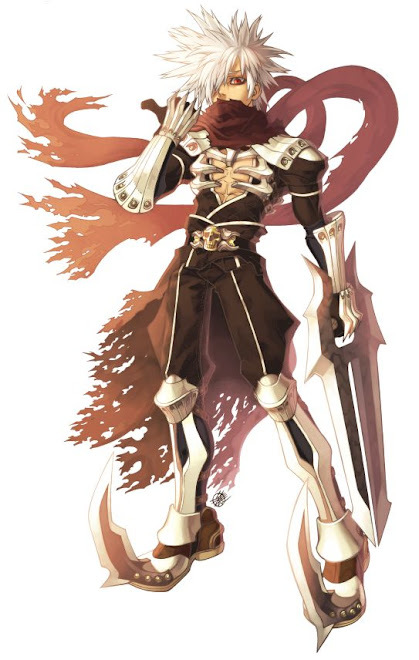 Aliases/Nicknames: Renn was known as Renegade though his Childhood, but after joining the Mercenary corporation known as Wings of Judgement, He was codenamed Angeru (pronounced An-je-ru). Preferred name: He always sticks with his codename except in times of officiality. Age/Date of birth: 23, and April 30th 2100. Race/Ethnicity: North american white descent, Renn has roots from all ancient white-skinned tribes including the Gauls and Anglo-saxons. so in other words as white as white can get. Appearance: Renn's physical description is more of the Tall and thin type, standing at around 5'11-6ft tall His skin is a pale peachish tone, hasn't been outside so much except on missions. but he's not a shut in type either so he's used to light but he's definitely at home in the dark. and a small soul patch below his lower lip. everything aside from these mentioned spots are shaved. and although tall and lanky, he is actually well built from the abdomen and lower, having legs toned from lots of running and cardiovascular exersize. He tends to wear confortable clothing wherever he goes, most commonly blue or black jeans or some type of cargo or jean shorts for the sake of carrying supplies or tools. as well as a blue, green or black muscle shirt. But depending on the weather he always prepares for certain climates. Weapons and Equipment: Depending on a situation he's armed with a multitude of useful weaponry and tools for combat as well as survival, Hence why he almost always wears cargo pants or shorts. His Inventory has a range of useful gadgets as well as weapons, He has a double edged sword made of a Steel and Black metal alloy, giving it a more grey-toned appearance in the case of hand to hand combat, His other supplies include Rations, medical supplies to treat a variety of diseases and ailements, as well as other basic need providing devices. His typical long range weapon is another custom made Laser gun he calls the LZ-47, using a similar process to his Laser 45 revolver, but it doesn't recharge like the revolver inside the weapon, He loads magazines with Voidstone ore, and it powers the shots to create a rapid fire Laser assualt Rifle, which like it's predicessors, unleashes a burst of rapid shots, only these are lasers. They cannot recharge while inside the weapon but they'll recharge after exposure to a magnet for about 5 minutes. His last custom made design, are his personal favorites, The LDG, or Laser detonation grenade, binding a magnet and a voidstone crystal together in a Black Metal Shell, This is the most powerful form of Renn's Weapon Research, Depending on the size of the crystal, a needle sized magnet edged with Black metal pierces the crystal and causes an explosion that almost rivals that of a Sidewinder missle. He always carries one just in case. And so he grew up thinking the man who was his mother's husband, was his Dad. But he was kinda surprised when he went on his first field trip when he was in grade 1, His name was signed Renn Allen Gurski, and yet his mother's signature was Tina Rose Graham. In his childish curiousity, His mother told him that his birthfather was killed before Renn could remember. It wasn't until much later that He found out how his father died so he did with what he had, His Step-father James taught him alot of survival techniques and trained him in almost everyform of martial arts, But Renn at age 15 decided to take a course in sniping and basic weapons training. It kept him busy, and helped him deal with the discrimination at school. Although Renn was also a gifted student. He was seen as no more than a nerd. Renn was a veritable living weapon by age 17, he was a black belt in 19 martial arts, and a profiecient gunner from all ranges, and had an IQ of 137. It was time he found out. James and Renn's birthfather, were comerades and partners in a mercenary corps called the wings of Judgement, Renn was told that His father gave his life for James, and as his final wish, He wanted James to watch over Renn. And after confirming that Renn had inheirited His father's skill, James officially tested Renn to see if he could join the WoJ. After passing with flying colors, Renn was inducted into the recruit roster, but sadly he couldn't join officially for another year. Renn kept busy with training and school until then and finally Renn had his first mission at age 18. He alongside his Mercenary training, has a overdeveloped sense of hearing since he wears glasses, he has honed his hearing to the degree that he can hear a butterfly's wingbeat if close enough, but most of all he has a sense of calming that frees him of all hesitation. He utilizes the 19 martial arts in a similar manner to Spider-man's 'way of the spider' but instead of relying on the extra sense that Spider-man does, he uses his overdeveloped hearing and if that fails him, he uses his paranoia instead which is sometimes more effective. This is his main defensive tool. His main offensive style is also tactical. He can detect a weak spot just by observing his foes movements once, but as he doesn't rely much on his eyes or his arms, he tends to keep foes at bay with effective sweeping kicks but that doesn't mean he won't switch it up and oftenly surpises foes with a 'Soryuken' Uppercut to the chin followed with a flipping heel crush to the forehead of his foes. His other skills in other fields include medical training in both surgical and basic first aid, Sniper training, and 7 of his 19 martial arts specialize in weapons combat of multiple varieties although he normally doesn't use most of them, He tends to use them for sword-based combat. Preferred name: Rence by friends, Flourence for everone else. Race/Ethnicity: white, her roots are found in Italy, Ireland and England. Appearance: Lanky is the first thing that comes to mind when you see Flourence, coming in at 5' 9", she had always been one of the more taller kids in her neighbor hood. Her bright long red hair seems to offset her dark brown eyes, or it would if you could see her eyes through the googles shes all the time wearing. She usually keeps her hair tucked under a hat, leaveing only her bangs showing. Most of the time when shes "working" she wears fingerless gloves and jumpsuits with her belt hanging from her waist. When shes not working she likes wearing dresses and the like. Weapons and equipment (if any): Her father had picked up a samri sword from Japan when he went there for work and gave it to Flourence as a gift, and when all of void mess happened, she grabbed that to defend herself. She got her googles from her mother, since she was the one that invented them. They not only help her see (Flourence was born with terrible eyesight) they also work as binoculars and have infrad vision and night vision. Last but not least her "utility belt". There she keeps her lock picking kit, and other small essintials for her work. Special Abilities/Skills: Theres no lock she can't pick, and she has an amazing free running ability (which she devolped quickly after the voidstone explosion). where she lacks in fighting, she runs. and finally a short bio for your character: An average collage student until the cloud came down. It happened as she was jumping over rooftops at the time and it startled her enough to make her fall. She woke up in a pool of her own blood but couldn't find any injury on her. The days that followed were chaos. The only thing she knew about her parents were they were safe and in hiding so that left Flourence to get picked up the Void's fist since all people like her were lumped with them anyways, and since they were fighting agasint the goverment, it would be better if she went with the flow. while she dosen't like the situation she's in, she remains cheerful and optimistic. finished my template you like? when should we expect to see the actual rp up? cool!and how do you feel about second charters? as long as you can keep track, its fine with me. about that...can we be anywhere when we start it or what?